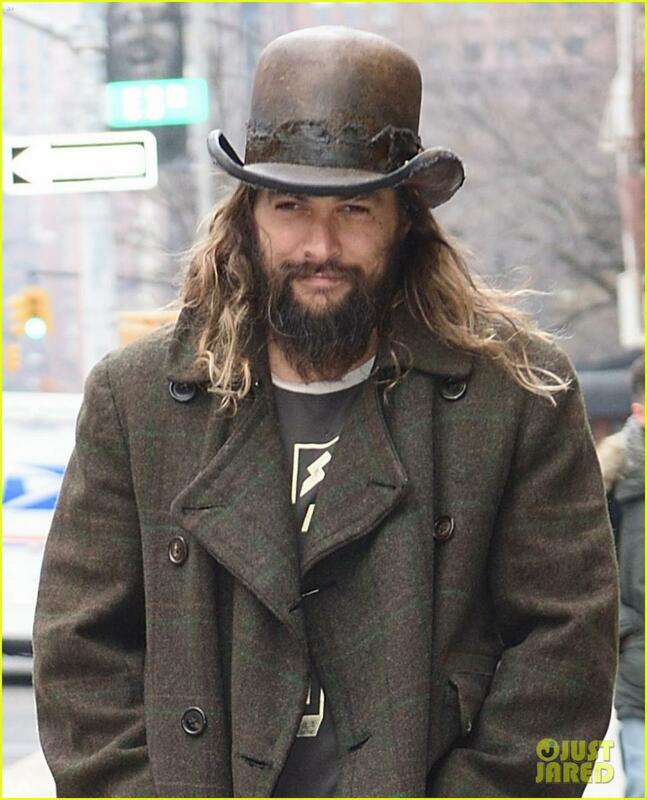 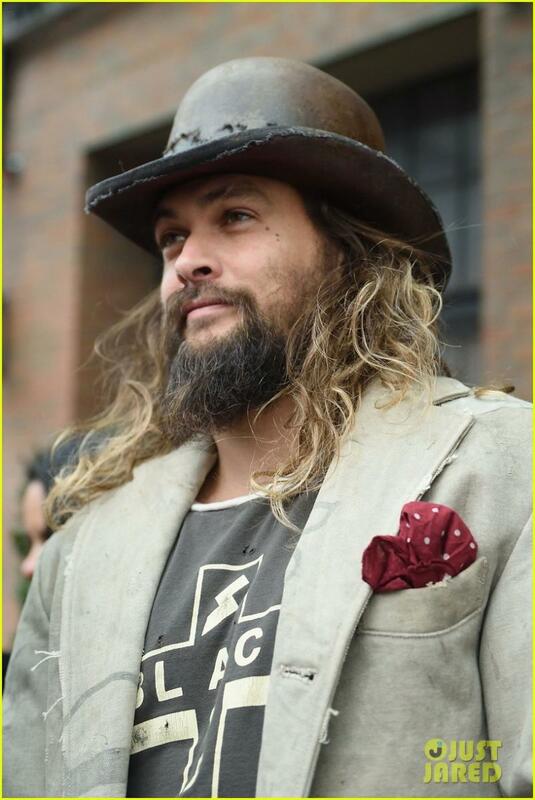 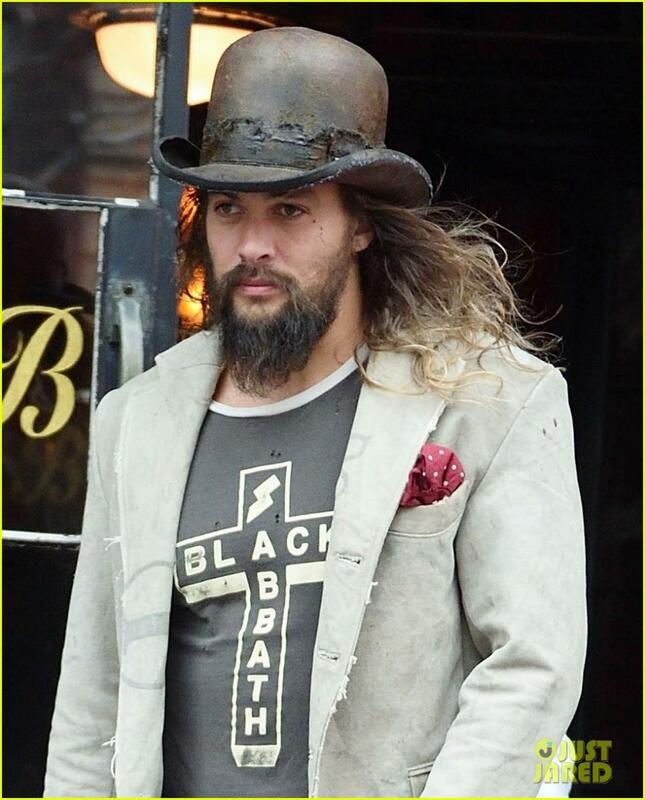 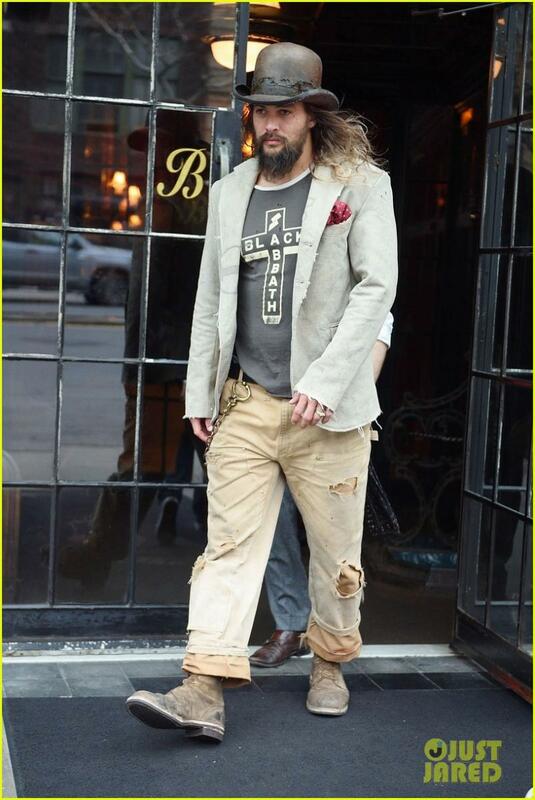 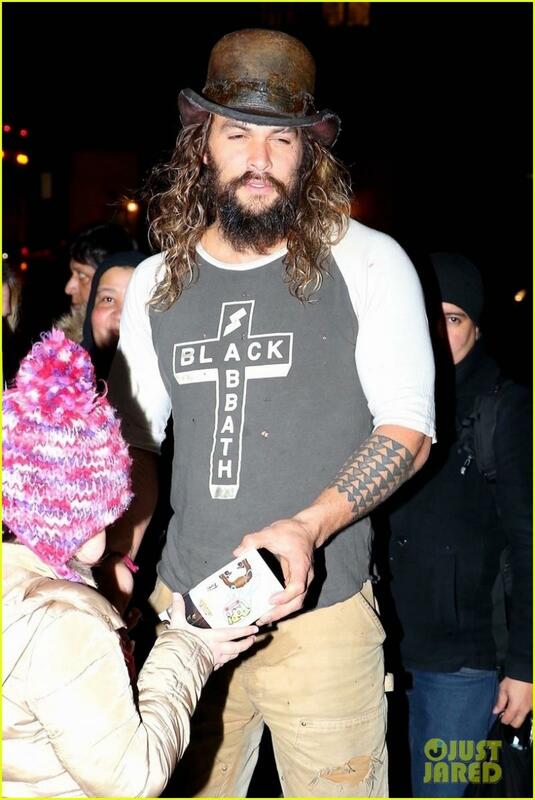 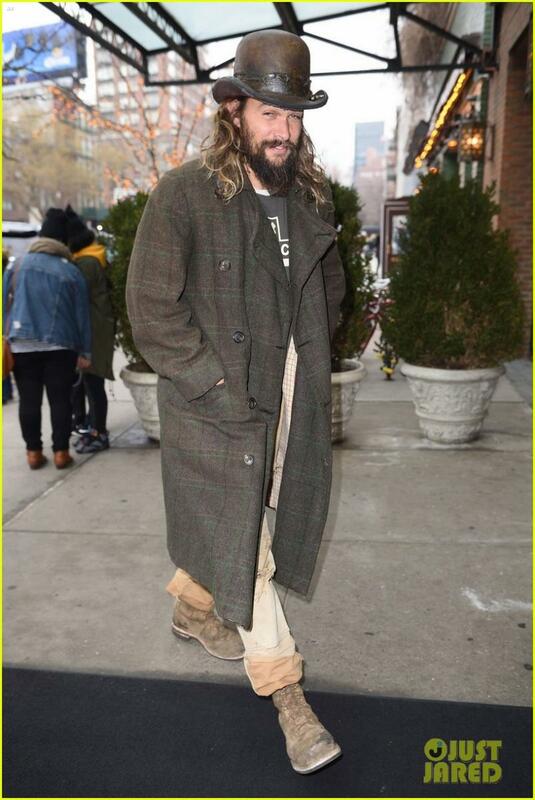 Jason Momoa put his boho chic style on display while stepping out in the Big Apple today! 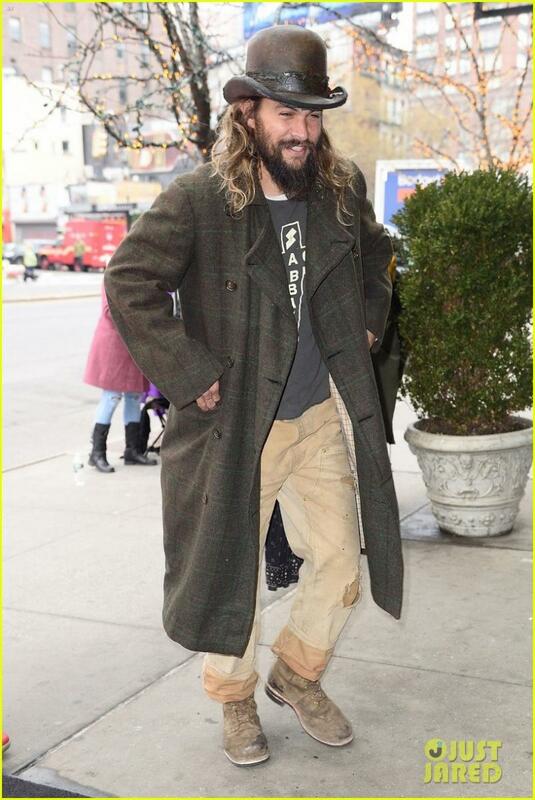 The 38-year-old Game of Thrones star was spotted heading out of his hotel on Monday (January 22) in New York City. He wore a Black Sabbath t-shirt, beige blazer with a dark red handkerchief, distressed khaki pants on top of a darker pair, worn-looking brown boots, and a brown bowler hat. 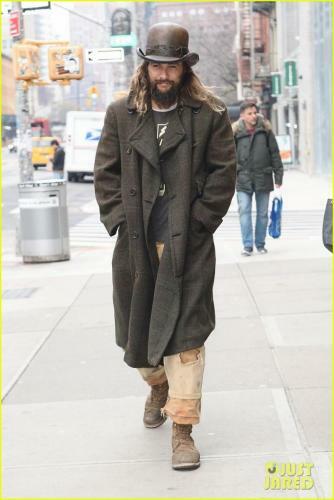 While grabbing lunch with his wife Lisa Bonet earlier that day, he rocked a darker, longer coat and a different pair of boots. 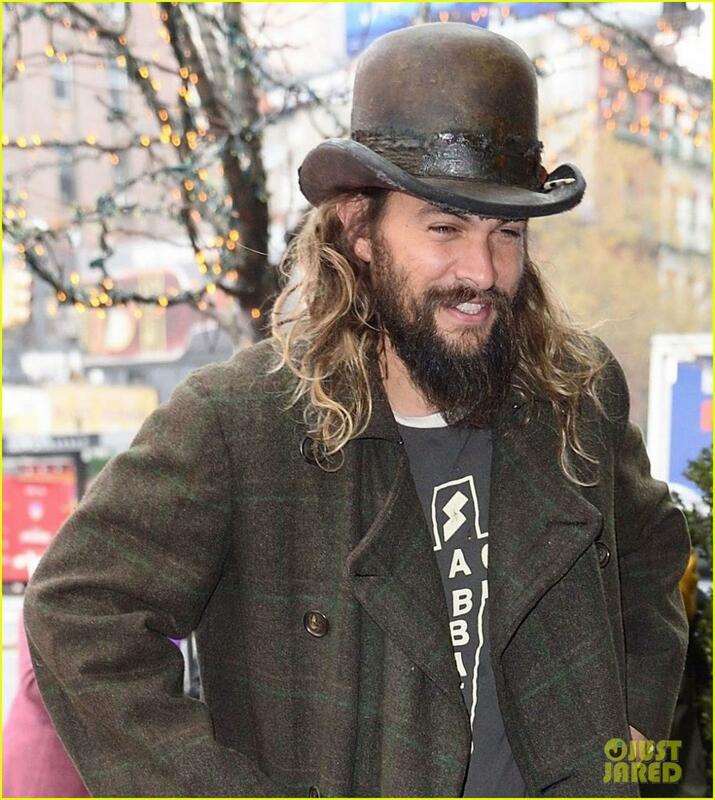 Lisa sported a long black coat, shiny black shoes, and a floppy hat. 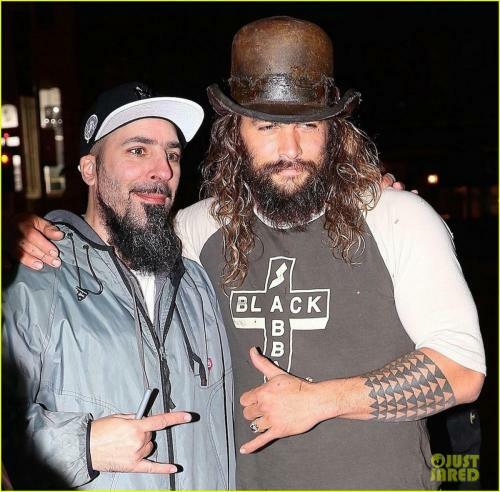 Jason also stopped by The Tonight Show Starring Jimmy Fallon that night, where he discussed his upcoming Aquaman film and played a game called “Water Wars” with Jimmy. 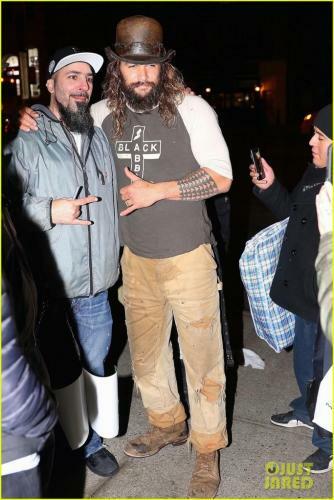 NOTE: The staff here at JasonMomoaNews.com are protective of the privacy of Jason Momoa and his family when in public. We don’t share photos of his wife or children unless he is explicitly okay with it. 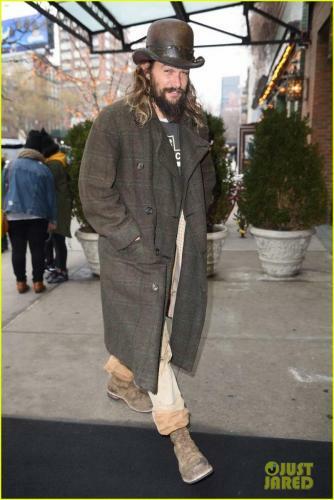 That is why you won’t see any of the photos of Jason with his wife, Lisa Bonet, in our gallery. They are easy enough to find online, but not on our site. Thank you!